One of the biggest wellness trends over the last couple of years is CBD and its products. CBD is known to have several benefits like pain and inflammation reduction, treatment from anxiety, depression, and insomnia. It is also known to help with neurological disorders such as epilepsy, schizophrenia, and autism. If you are someone who upon hearing the CBD, visualize marijuana, think again! CBD contains almost nil THC, the compound which gives you a ‘high’. Traditional marijuana has up to 30% THC, while hemp and CBD oil products have less than 0.3%. The most common forms of CBD ingestible oils, essential oils, topicals, gummies and ointments for pain, and serums for beauty. So with CBD being one of the top food trends in the last couple of years and well continuing in 2019 let’s look at some of the best CBD beverages you can have on the go! With Aurora Elixirs, get a blend of the transcendental spirit of CBD with other tantalizing ingredients. Made with completely natural ingredients, Aurora is concocted for a refined, mind-blowing experience. Choose between their hemp flavored elixirs which include Lavender Spice and Grapefruit Rosemary, which has full-spectrum agricultural hemp extract that is high in CBD and zero THC. Lavender Spice has a blend of Lavender, coriander and citrus peel which provides a calming effect while Grapefruit boasts of Piney and botanical aromas layer with a strong burst of clean citrus. Yummy and healthy? Yes, a must try! 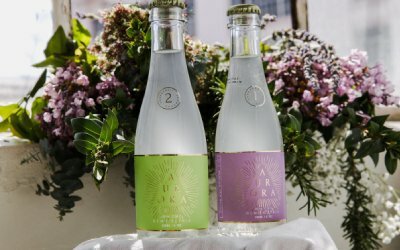 With CBD-infused food everywhere these days, it’s time to treat yourself to some refreshing and sparkling beverages especially as summer makes its way! 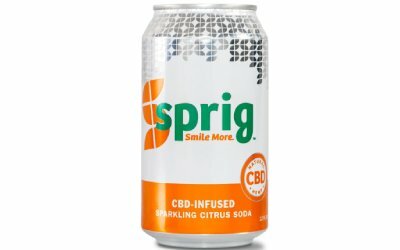 Get the most delicious, fizzy, refreshing, CBD-infused soda from Sprig! Now available throughout the US, CBD-infused soda from Sprig has arrived, just ready to grant you the cool summer you’ve always wanted. It has a light and refreshing taste of grapefruit with amazing flavors like Citrus, lemon tea, and fruity melons. Try them and you will never try another, trust us! 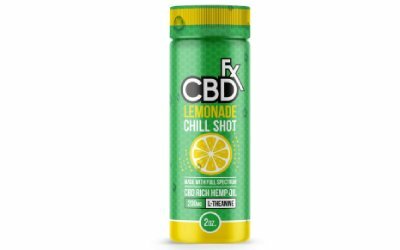 Who can resist CBD lemonade? The freshness of lemonade combined with the goodness of organically grown hemp provides a perfect package of taste and health. This delicious, ready-to-drink beverage is infused with 20mg of full spectrum CBD and 200mg of L-Theanine. This is a powerful amino acid found in green and black tea. The drink is a natural source of vitamins and minerals with a delicious lemony flavor. Hemp Oil infused with plain old water, is rich in nutrients, thus enabling Endo to bring the ancient uses of hemp to the anxiety and insomnia-ridden modern era. You can choose your Endo Water from amongst plain, watermelon, cucumber and lemon lime to suit your tastes and requirements. A great way to get the benefits of CBD without any hassles. Green Roads CBD Coffee is more than just your average cup. Infused with the aroma of caramel, sweetness which is mild and delicate, this coffee with its rich taste is perfect for a lazy morning. Get fortified with the goodness of CBD when you sue these 8 oz. bags. 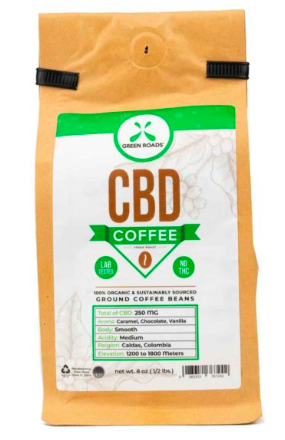 A healthier alternative to regular coffee, CBD coffee is the next innovation of CBD infused drinks. Green Roads coffee contains bold coffee grounds as well as pharmaceutical-grade cannabidiol.